In Mexico “Sicario” means hitman. In America, during awards season, Sicario could mean awards for Denis Villenueve (director), Emily Blunt, and Bencio Del Toro. Kate Macer (Blunt) is a naïve FBI agent assigned to a government task force to aid in America’s war on drugs across the Mexican border. She finds herself to be a pawn in game being played between her fellow agent Alejandro (Del Toro) and Matt (Josh Brolin), her superior officer. The longer Kate Macer stays across the boarder fighting against the Mexican cartels, the more her idealism fades into a distant mirage of her homeland. Denis Villenueve is a director on the rise. In 2013 both his film Prisoners and Enemy were released. Both are very different films and meant to be seen by very different audiences. Sicario could be the perfect mix between Villenueve’s dark accessibility illustrated in Prisoners, and his ability to retain tension in every scene as shown in Enemy. 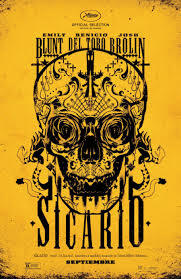 According to early reviews from critics such as The ConCourse’s Tom Ley, “Honestly, the film might be a horror movie.” Sicario may just be the first horror film masked as a sprawling crime drama that any of us has ever seen. Meet Ma (Brie Larson), a young woman kidnaped and then impregnated by her captor. Meet Jack (Jacob Tremblay), Ma’s son, he knows nothing of the world beyond four walls. Ma desperately wants to escape the room that she and Jack have been imprisoned in for the past seven years. But, have these four walls protected Jack’s innocence from being perturbed by the outside world? “Room”, is a small film with two emotionally complex performances, by Larson and Tremblay that are preserved by the four walls of the screen. 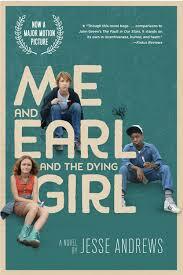 Two years ago, a small independent film titled Short Term 12 was released and Brie Larson suddenly appeared on film critic’s radar as an actress to watch. Larson did nab a few smaller critic awards for her performance in Short Term 12, and was even viewed as a dark horse to receive an Oscar nomination. 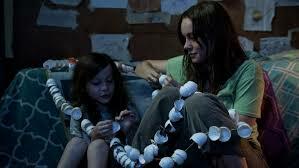 If Larson’s performance surpasses her work in Short Term 12, then, hopefully, she will not be overlooked a second time. 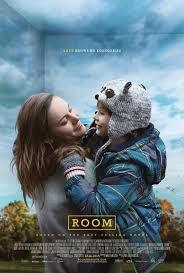 Based on the trailer director Lenny Abrahamson (Frank) may also receive some recognition for his work, as he uses various camera angels to allow audiences to view the room through Jack’s perspective. Want to be on the show?? Tweet @SceneNNerd or shoot us an email at SceneNNerd@gmail.com! On this week’s show, Pete and Casey are joined by Amy to discuss Game Of Thrones, Arrow, The Flash, and Legends of Tomorrow. Pete lets us know what’s coming out on Blu Ray, DVD, and in theaters. Casey makes up the entertainment news on the spot. Amy speaks the truth and speaks it fast. Andy may or may not crash the show. There is also a baby. One more awkward pause than you’re probably used to……. It’s Scene ‘N Nerd!